What is life? What is sentience? 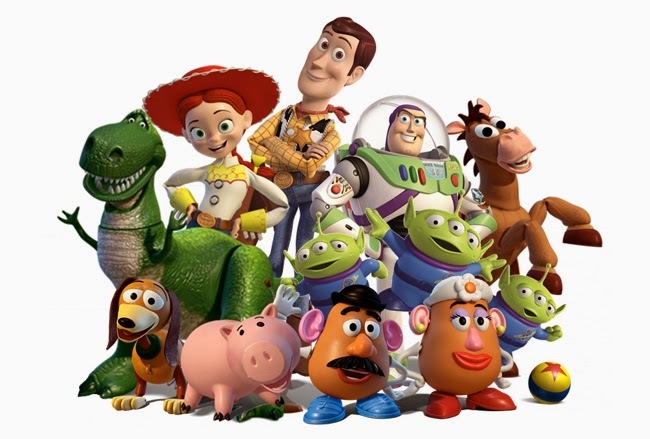 Modern science has not yet found an answer, but an answer cannot be found in the internal logic of Toy Story either. Why is Woody (a wooden puppet) alive when, say, a stick is not. Why is Mr Potato Head a singular entity rather than a gestalt being? His parts are all detachable and unique, but he is his own person, as opposed to something like the bucket of green soldiers which were also produced and sold as a set but all have their own personalities. Is Woody's hat alive? No. Why not? It is just as much a toy as he is, and Woody wasn't constructed from scratch with his hat, there would be a moment where the Woody doll gained his hat. What separates Woody from his hat? Why is Bo Peep (a porcelain statue) alive, but plates aren't? It is possible to claim that it is the love of a child that creates life in these toys, but that doesn't answer the above questions. In the second film, Andy can also be seen playing with a cardboard box, but this box does not turn to life (and yet it is made from wood, as Woody is). How can this be? 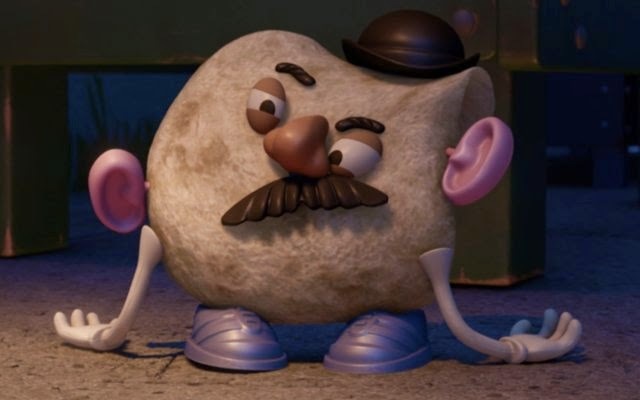 A clue can be found in Toy Story 3, where Mr Potato Head loses his body and so animates a tortilla wrap by plugging his facial features into it. This implies that a toy's spirit can inhabit any body it wishes, leading to the possibility that all the toys are ghosts that inhabit various objects. Ghostly possession easily answers all the questions raised above, as well as more gaping plot holes. Why do all toys automatically turn lifeless when a child walks into the room despite sometimes it being in their best interest to escape danger. We know from Woody's confrontation with Sid that movement is possible. Again, the answer is clear: not everyone can see ghosts. Only animals (such as Andy's pet dog) and some children (assumedly Sid has this gift). The toys could not reveal themselves to everyone, as not everyone can see ghosts. Toys have no internal muscular structure. A soft bear or a doll full of cotton wool like Woody could not stand up under its own power - however items possessed by poltergeists can move of their own accord. Do the toys know they are ghosts, and tell themselves they are toys in order to make themselves feel better? Is this where all people go after death, their minds wiped as they helplessly possess the nearest object? Do they refer to themselves as 'toys' as they are the 'toys' of God? We may never know. What we do know is that in Toy Story, Buzz Lightyear is convinced he is a real person, much like the recently dead refuse to admit that they are a ghost. Andy's father is conspicuously absent from the films. Could Buzz Lightyear be possessed by the dead spirit of his father, unable to let go of this mortal coil and needing to watch over his son as he grows up? Toys processed by spirits of the dead? You're basically ripping off FNAF due to the fact there are TOY animatronics who may or may not be processed by the spirits of dead children!